Acclaimed chef Daniel Boulud launched the event by sabering a bottle of Mionetto Prosecco at The Venetian surrounded by other notable chefs. Other chefs in attendance at the kick-off include Mary Sue Milliken, Guy Savoy, Julian Serrano, Michael Mina, Roy Ellamar and Shawn McClain. 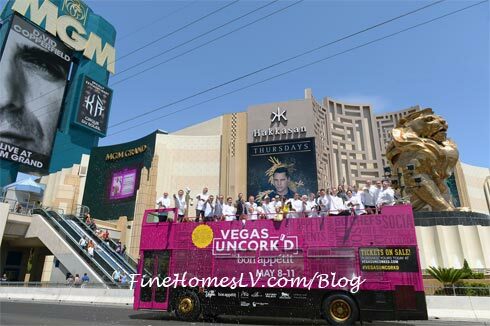 The celebrity chefs enjoyed sweet moments with other culinary giants, including Sirio Maccioni, to unwind before touring Las Vegas Boulevard and kicking off festivities at ARIA, Bellagio, Caesars Palace and MGM Grand. 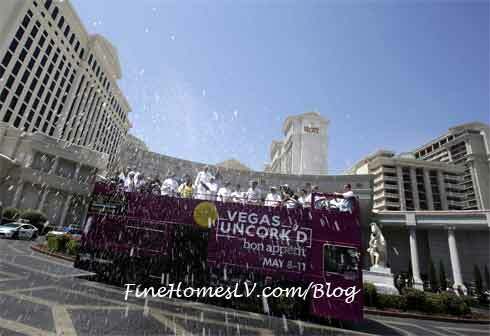 The chefs took a tour of the Las Vegas Strip and made stops spreading good cheer of champagne showers to the crowd. The star-studded weekend welcomes new chefs such as Giada De Laurentiis, Buddy Valastro, Masa Takayama and Pierre Gagnaire along with returning favorites Michael Mina, Gordon Ramsay and Joël Robuchon among others.